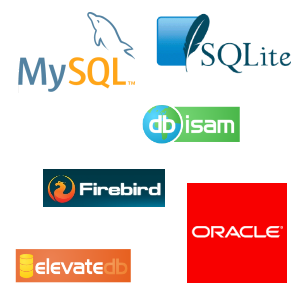 One tool for all your database design and management needs. Design and connect tables right on the diagram canvas. Create a version checkpoint, that automatically produces SQL DDL script for your target database engine. Use the script to create a new database. Continue to design and modify your schema, each time producing a new version checkpoint with update script. Apply updates to your development, stage and production databases. In most cases, when using the above sequence, you will almost never need to write or run DDL scripts manually and the whole history of your database design process will be beautifully documented in diagrams and version checkpoints (which you will always be able to compare and revert to if necessary). We believe, that these features make Context Database Designer one of the most powerfull, flexible and feature-rich tools available on the market today. We highly appreciate your comments and suggestions that will enable us to make it even better and more accessible for all database developers. Trial version of Context Database Designer is available now for free download. If you need more information about this product, please click here to submit your request.